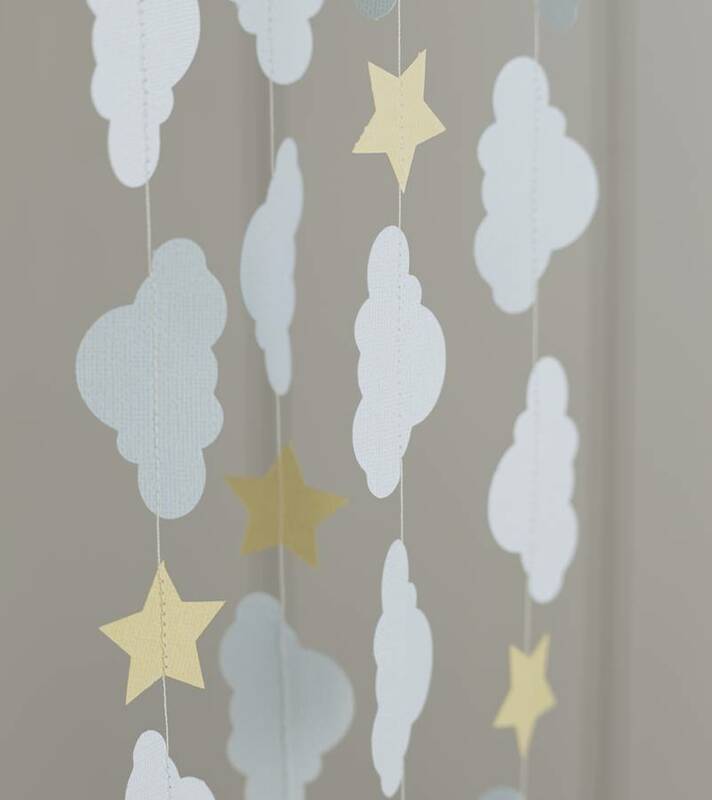 A beautiful handmade cloud and star garland. 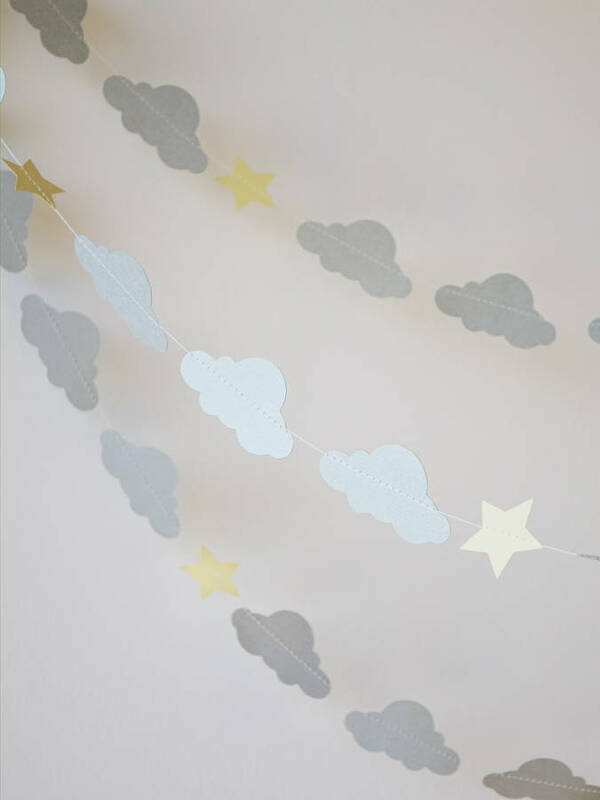 Add a touch of whimsy to your little ones nursery with this beautiful handmade garland. 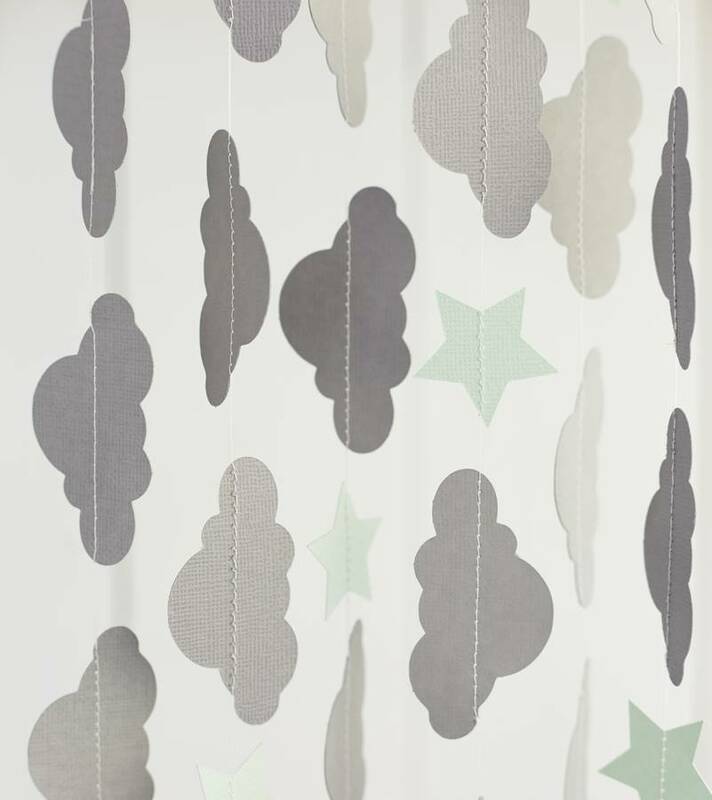 It would make the perfect gift for a baby shower or that precious new arrival. 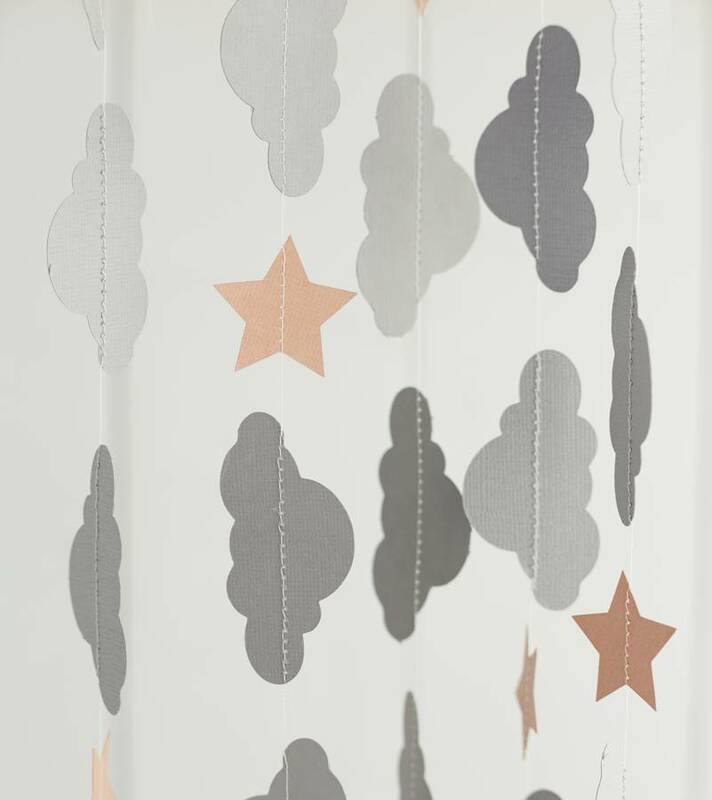 Each one is lovingly handmade here in the UK from thick card stock and stitched together with cotton thread. 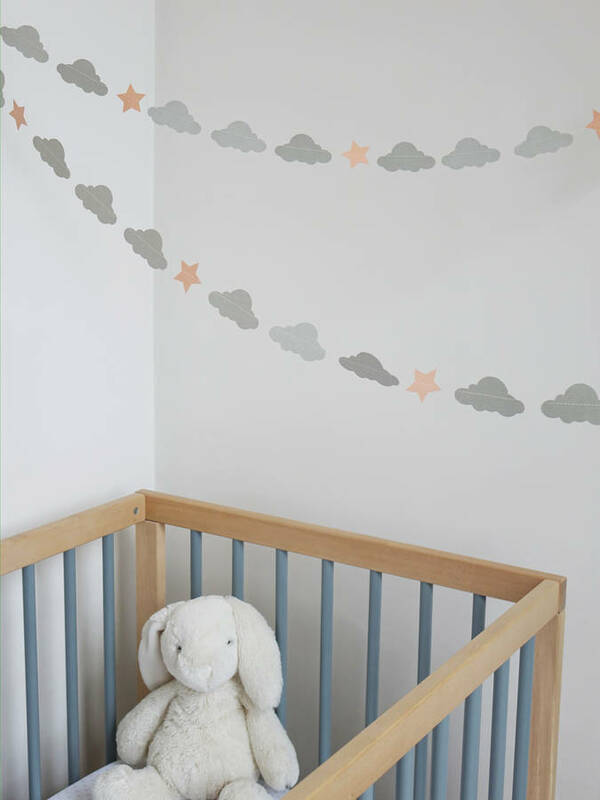 Available in soft, soothing pastel shades that will compliment most nursery schemes.